HMD Global announced its new device portfolio at Mobile World Congress in February. At an event on Wednesday, the company launched the Nokia 8 Sirocco, Nokia 7 Plus, Nokia 6 (2018) and the Nokia 1 Android Go phone in India. In addition to the new phones, it also launched an online store for all Nokia devices and accessories in the country. 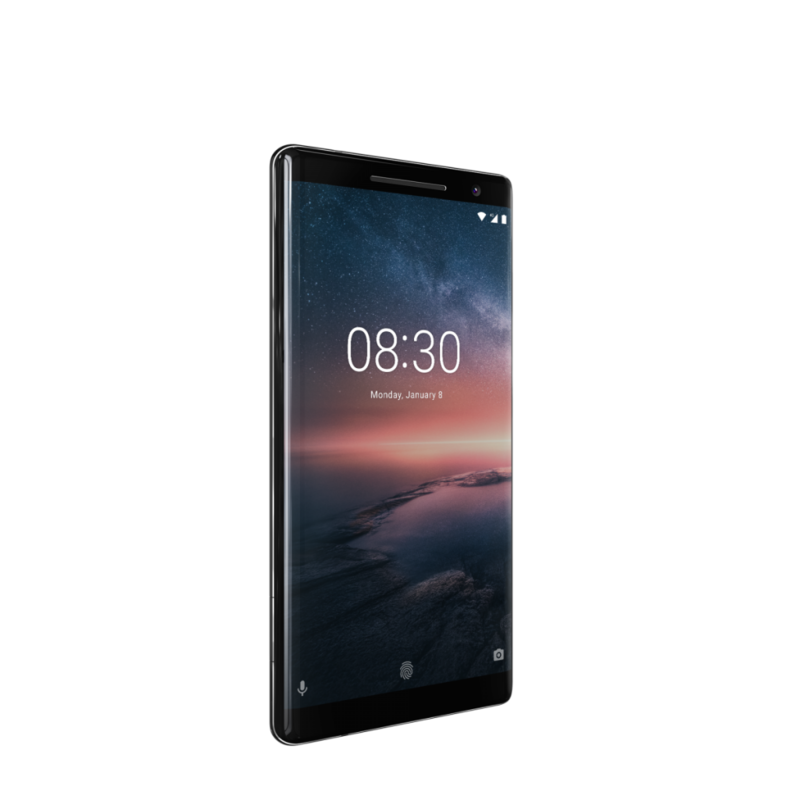 The Nokia 8 Sirocco is the company’s new flagship and the most expensive phone in the company’s portfolio. 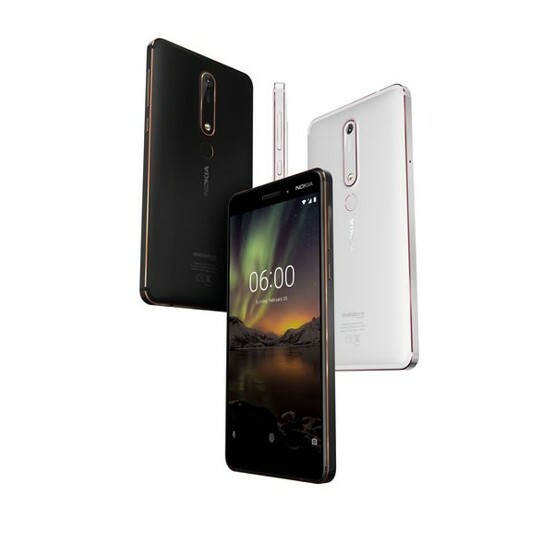 The Nokia 7 Plus is an upper mid-range phone with the Qualcomm Snapdragon 660 system-on-chip, while the Nokia 6 (2018) replaces the first-generation Nokia 6. 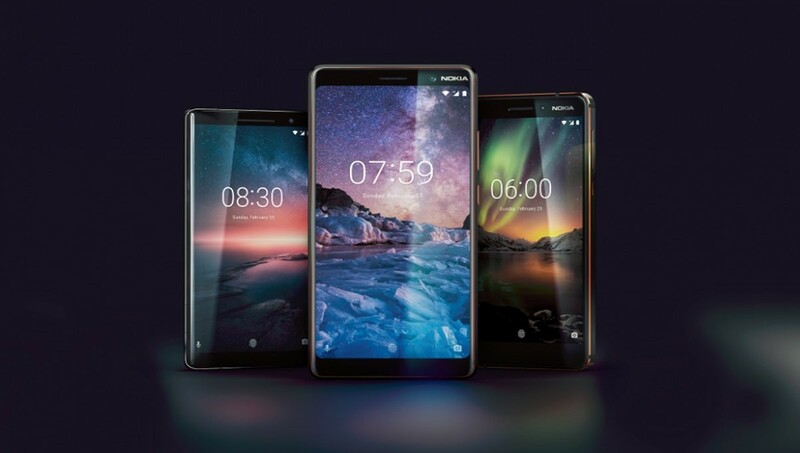 The Nokia 8 Sirocco, Nokia 7 Plus, and the new Nokia 6 are part of the Android One platform, with guaranteed monthly security updates. Let’s take a look at all of the devices. The Nokia 8 Sirocco has a steel frame and a curved glass finish. HMD Global states that the steel frame is dual diamond-polished and it’s 2.5 times stronger than series 6000 aluminium. It’s paired with 3D Gorilla Glass 5. The phone is powered by the Qualcomm Snapdragon 835 system-on-chip, paired with 6GB of RAM and 128GB of storage. That means it won’t be able to compete head-to-head with phones that feature the newer Snapdragon 845 SoC. The phone has a curved edge-to-edge 5.5-inch QHD (2560×1440) 16:9 pOLED display with small bezels. It has a 12MP primary rear camera with 1.4 micron pixels, optical image stabilization (OIS), f/1.75 aperture, ZEISS lens with dual-tone flash. The secondary camera is a 13MP sensor with a telephoto lens for 2x optical zoom. It has 1.0 micron pixels, a f/2.6 aperture, and a ZEISS lens. The front-facing camera has a 5MP sensor with 1.4 micron pixels, f/2.0 aperture and a ZEISS lens. The phone comes with the Pro Camera app that has a built-in manual mode. The phone has a single speaker, 3 high-performance integrated mics, and the usual connectivity options including Wi-Fi 802.11ac and Bluetooth 5.0. Strangely, it does not have dual SIM slots, which is a poor decision when considering the fact that Dual SIM is a popular feature in India. Also, it does not have a 3.5mm headphone jack. The fingerprint sensor is placed on the back of the device. It’s powered by a 3260mAh battery that has support for Qualcomm Quick Charging 4 as well as Qi wireless charging. Its dimensions are 140.93 x 72.97 x 7.5mm. It also has an IP67 rating for water resistance. Lastly, it runs stock Android 8.0 Oreo. The Nokia 8 Sirocco will be available in a black color. It costs Rs. 49,999 ($767) in India. Consumers can pre-book the phone starting April 20th from Nokia phones shop, Flipkart, and select retail outlets like Sangeetha, Poorvika, Big C, Croma, and Reliance, while the on-shelf date is stated to be April 30th. Airtel customers will be able to get an additional 120GB data benefit. Prepaid consumers will get 20GB additional data on each of the first 6 recharges of Rs 199 or Rs 349, while postpaid consumers can avail additional 20GB per month on the Rs 399 or Rs 499 plan for 6 months. Airtel consumers will also get an extended free subscription to the Airtel TV app until December 31, 2018. ICICI bank will offer a 5% cashback until May 31, 2018. Customers can also get 25% instant discount on domestic hotels at MakeMyTrip. Finally, the phone will have no cost EMI option on credit cards. The Nokia 7 Plus is made from a single block of 6000 series aluminum with copper edges. Its ceramic feel coating hides antenna lines and is said to bring a “unique tactile feel”. The fingerprint sensor is placed on the back of the device. The phone is powered by the Qualcomm Snapdragon 660 system-on-chip (which has eight Kryo 260 cores and the Adreno 512 GPU). Incidentally, it’s the first phone to launch in India with the chip. It has 4GB of RAM paired with 64GB of storage, along with a microSD card slot that supports up to 256GB expandable storage. The Nokia 7 Plus has a 6-inch Full HD+ (2160×1080) IPS LCD with an 18:9 aspect ratio. This means that it has more screen area than the flagship Nokia 8 Sirocco. The display is rated for 500 nits of brightness and a 1500:1 contrast ratio. It’s laminated and polarised and comes with Gorilla Glass (although the version number of Gorilla Glass was not specified). The phone has a 12MP primary camera with 1.4 micron pixels, f/1.75 aperture, ZEISS lens, and dual-tone flash. (It does not have OIS.) The secondary camera has a 13MP sensor with 1.0 micron pixels and a telephoto lens for 2x optical zoom. It has a f/2.6 aperture. The front-facing camera has a 16MP sensor with 1.0 micron pixels and a f/2.0 aperture. The device has a single speaker with “smart amplifier,” spatial audio capture with three mics, and the usual connectivity options including Wi-Fi 802.11ac, dual SIM slots, Bluetooth 5.0, and the USB Type-C port. It does have a 3.5mm headphone jack. The Nokia 7 Plus is powered by a 3800mAh battery with USB-C fast charging, which is bigger than the 3260mAh battery of the Nokia 8 Sirocco. Its dimensions are 158.38 x 75.64 x 7.99mm (9.55mm with camera bump). It runs stock Android 8.0 Oreo. The phone will be available in Black/Copper and White/Copper colors. It costs Rs. 25,999 ($400) in India. Consumers can pre-book the device starting April 20th from Nokia phones shop, Amazon.in, and select retail outlets like Sangeetha, Poorvika, Big C, Croma, and Reliance, with the on-shelf date being Apri 30th. Airtel consumers will get a cashback offer of Rs 2000, meaning that the phone’s effective price will be Rs. 23,999. Airtel consumers will also get an extended free subscription to Airtel TV app until December 31, 2018. In addition, ICICI bank is offering a 5% cashback until May 31, and consumers can get 25% instant discount on domestic hotels at MakeMy Trip. Finally, the phone will be available at zero cost EMI on credit cards. We have termed the new Nokia 6 as the Nokia 6 (2018). It’s the successor to the first-generation Nokia 6, which had a Snapdragon 430 SoC and a 5.5-inch Full HD display. The Nokia 6 is made from a single block of 6000 series aluminum, and it’s combined with an 11-hour two-tone anodizing and polishing process. The fingerprint sensor has been moved to the back, resulting in on-screen navigation buttons. The phone is powered by the Qualcomm Snapdragon 630 SoC (which has eight ARM Cortex-A53 cores and the Adreno 508 GPU). This is a substantial improvement from the Snapdragon 430 used in the Nokia 6 (HMD Global states that the phone is over 60% faster than its predecessor), but the newer Snapdragon 636 (used in the Xiaomi Redmi Note 5 Pro) is also substantially better than the Snapdragon 630. The SoC is paired with 3GB of RAM and 32GB of storage, or 4GB of RAM and 64GB of storage. There is also a microSD card slot that supports 128GB expandable storage. The phone has a 5.5-inch Full HD (1920×1080) 16:9 IPS display with sculpted 2.5D glass. It has Gorilla Glass. The display is laminated and is rated for 450 nits brightness and a 1500:1 contrast ratio. 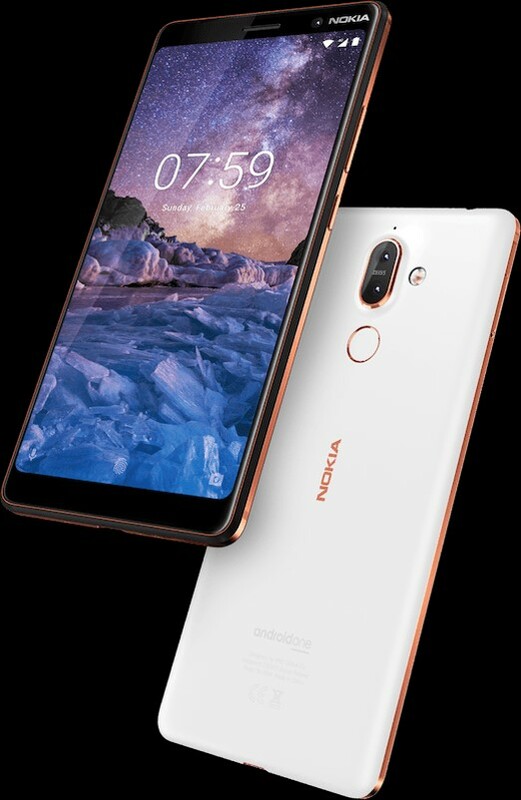 The Nokia 6 (2018) has a 16MP rear camera with 1.0 micron pixels, PDAF, f/2.0 aperture, dual-tone flash, and ZEISS optics. The front camera has an 8MP sensor with 1.12 micron pixels, f/2.0 aperture, and an 84-degree field-of-view. The phone has a single speaker with “smart amplifier” and spatial audio capture with two mics. It has the usual connectivity options including Wi-Fi 802.11ac, Bluetooth 5.0, dual SIM slots, USB Type-C (USB 2.0) port, and a 3.5mm headphone jack. It’s powered by a 3000mAh battery with USB-C fast charging. Its dimensions are 148.8 x 75.8 x 8.15mm (8.6mm with camera bump). It runs stock Android 8.0 Oreo. The Nokia 6 (2018) will be available in Black/Copper and White/Copper colors. It will be sold for Rs. 16,999 ($261). Consumers can buy the phone starting April 6 from Nokia phones shop and leading mobile stores across the country including outlets like Sangeetha, Poorvika, Big C, Croma, and Reliance. Airtel consumers will get Rs. 2000 cashback, owning the phone at an effective price of Rs. 14,999. They also get an extended free subscription to Airtel TV app until December 31, 2018. Consumers will get 25% instant discount on domestic hotels at MakeMyTrip, and ICICI bank is offering a 5% cashback until May 31st. Finally, the phone will be available at zero cost EMI. 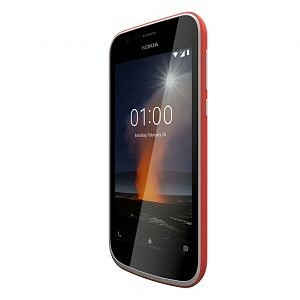 The Nokia 1 is an entry-level device with specifications to match. It was launched in India late last month. It’s powered by the aging MediaTek MT6737M chip, and it has only 8GB of storage paired with 1GB of RAM. The display is a 4.5-inch 854×480 IPS LCD. There’s a 5MP rear camera and a 2MP front camera. The phone is powered by a 2150mAh battery. It runs stock Android 8.0 Oreo (Go edition). It costs Rs. 5499 ($85), which is quite expensive for its specifications. This is because the Xiaom Redmi 5A has much better specifications and is available for only Rs. 500 more. Our view: At first sight, the Nokia 8 Sirocco looks to be a very expensive phone. Phones featuring the Snapdragon 835 such as the OnePlus 5T are available for Rs. 33,000, while HMD Global’s own Nokia 8 can be found for even less than that. Against upcoming Snapdragon 845 phones, the Nokia 8 Sirocco looks to be a tough sell. On the other hand, the Nokia 7 Plus has a better value proposition on paper. It competes with devices such as the Vivo V9, Oppo F7, and others. The Snapdragon 660 chip will give it an edge in terms of performance. Moving on, the Nokia 6 (2018) simply looks overpriced compared to the Xiaomi Redmi Note 5 Pro. There’s not much to say here, as the Redmi Note 5 Pro offers a much better price-to-performance ratio. However, the Nokia 6 (2018) is an Android One device, and being powered by stock Android Oreo is a plus. Finally, it’s good to see HMD Global promising regular updates with guaranteed monthly security updates. We applaud the company in this regard, and hope that it can keep up its pace and reliability of software updates.